HOPE you had an amazing week!! I did, as always!!! 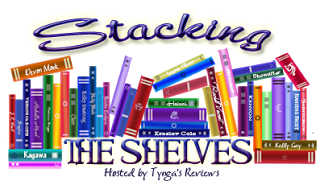 I got some AMAZING NEW BOOKS THIS WEEK!!! I got back into my groove of reading and have MORE reviews to post!! You can see the one I wrote earlier today on Letters from Paris by Juliet Blackwell HERE!! MORE reviews to come each day! Wow!!!! My FAVORITE book so far has been At the Water's Edge by Sara Gruen. Boy! I sure can connect with her writing! I do NOT want this book to end!!! I have to say it's nothing that is spectacular, it has everything to do with this author's writing! I just LOVE it! She is the author of Water for Elephants and I can only imagine HOW AMAZING that book HAS TO BE!! I WILL be squeezing that book in here, too! I MUST! I love this author!! Do any of YOU have any favorite authors you have come across like I did here? Isn't this WONDERFUL when this happens?! YES!!!! Please tell us below who and HOW did it happen to you!!! Okay! Let's see what's going on this last week and what is coming up this current week!! GIVEAWAYS: FAREWELL TO SUMMER $250 CASH GIVEAWAY!!!! NOW TO 9-22 - ENDING THIS THURSDAY!!! REVIEWS THIS WEEK: Tuesday, Sept 20th, 2016, Only Daughter by Anna Shoekstra!!! One AMAZING BOOK!!!!!!! MYSTERY/THRILLER FULL OF SUSPENSE THAT I LOVE TO DEATH!!! Come back to learn MORE about the book when I write my review THIS TUESDAY!!!! MANY MORE BOOK REVIEWS PLANNED THIS WEEK! COME ON BACK BY AND SEE WHAT I WRITE!!! SURPRISE, SURPRISE!!!!! BOOKS I RECEIVED THIS WEEK!!!! YES!!! AMAZING BOOKS!!!! 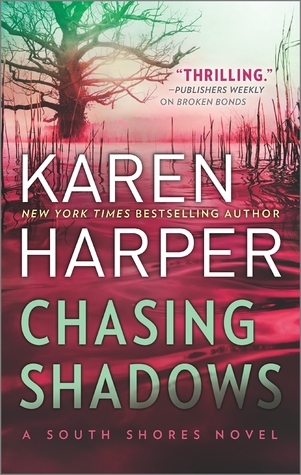 Chasing Shadows, A South Shores Novel, by Karen Harper Wow! This book is about a Forensic Psychologist who has spent a lifetime fighting a neurological disorder (sounds like ME!!! Wow!!!) with her ability to conquer it which is a testament (bummer! I can't conquer mine! I guess that is why these books are FICTION!!) to her razor-sharp intuition! This book takes her into a relationship with the fighting attorney, Nich Markwood, of which she completely overturns his case with her sharpness! Sounds like there is some romantic suspense in this book! YES! I LOVE it!!! However, in the description at Goodreads, so you are not mad at ME, states when she can no longer fight due to her illness, she learns of Markwoods' connection with the case!!! Wow! Sounds like the end of this book is going to be COMPLETE SUSPENSE!!! I CAN'T WAIT!!!!!!!! 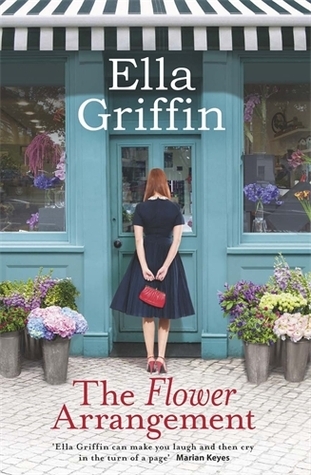 The Flower Arrangement by Ella Griffin - A beautiful books that weaves flowers into the subject matter and as they relate to the main character. This book is being referred to as much deeper than chick-lit, something to truly focus and think about while reading. I find this extremely interesting!! I LOVE LOVE LOVE how authors weave flowers into characters lives, and I LOVE when a book comes along that is much deeper than your regular story! This is one I am TRULY looking forward to!! Can't WAIT to read this!! Oh, my! This is the MOST BEAUTIFUL ADULT COLORING BOOK YET!!! 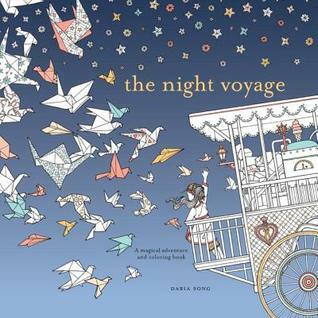 Amazing photos of a little girl going on a journey through her dreams!! This books requires me to order some metallic and/or gel pens from Amazon to do the coloring just right! Yes, colored pencils WILL do the job nicely, however, adding that little bit of extra BLING will do this book the justice it deserves!! I cannot WAIT to show you a few pages that I color! Oh! For you cat lovers out there, yes! This book is owned by a cat! YOU name the cat! I can't wait to share this with you! Thank you SO much for stopping by this week! I LOVE the books I received for review this week! I think you will as well! Don't forget to enter the $250 CASH Giveaway!!!! I have to remember to fill out the form, too! LOL!!! A couple of my favourite authors right now are Sarah Morgan (love her writing style and how I can be drawn in emotionally) and Karen Swan (fabulous plots). Loving the sound of The Flower Arrangement.